I am so very fortunate to say that my family is whole for a few weeks. I have said this before but I never get tired of the feeling of laying my head down on the pillow knowing that both my kids – albeit no longer children – are sleeping in their own beds. The window is short, but NEVER under appreciated. There is always too much laundry and not enough toilet paper and I love every moment of it. A. I’m not up to that yet? Q. Do we have rolls? Q. Do you want to sleep in my bed tonight? This mom thing, it’s like riding a bike! All joking aside, in light of the very tragic disappearance of Lauren Spierer and her incredibly brave and dedicated parents, I do not spend one moment taking for granted how very fragile our lives are. Please join the effort anyway you can. Help these these parents find their beautiful daughter. I am posting these links again this week. If you know or hear anything, speak up. If you can, donate. If you are in the area, help with the effort. Official Website where you can make donations to help fund the search effort. This page has been added as the official family page in reaction to false information and irrelevant comments on other pages. They are verifying info and request that there be no comments on the page. 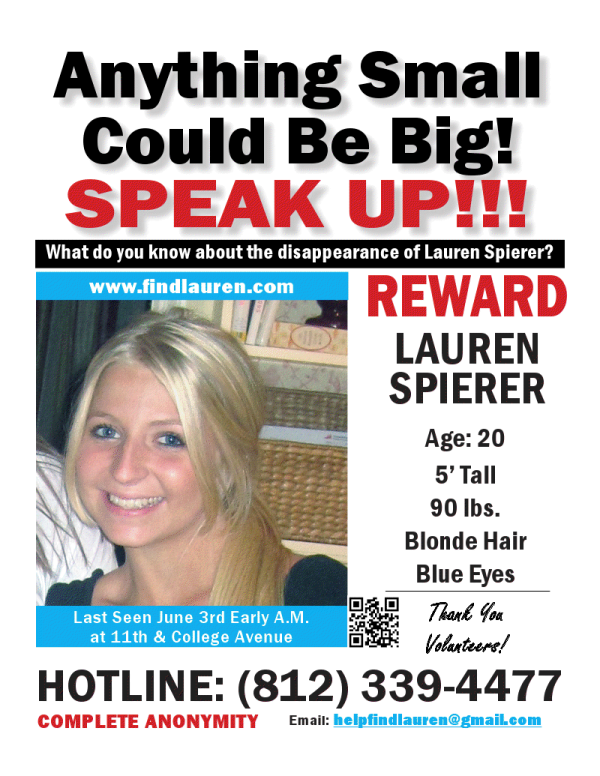 Facebook event: Please help spread the word about Lauren Spierer’s disappearance!